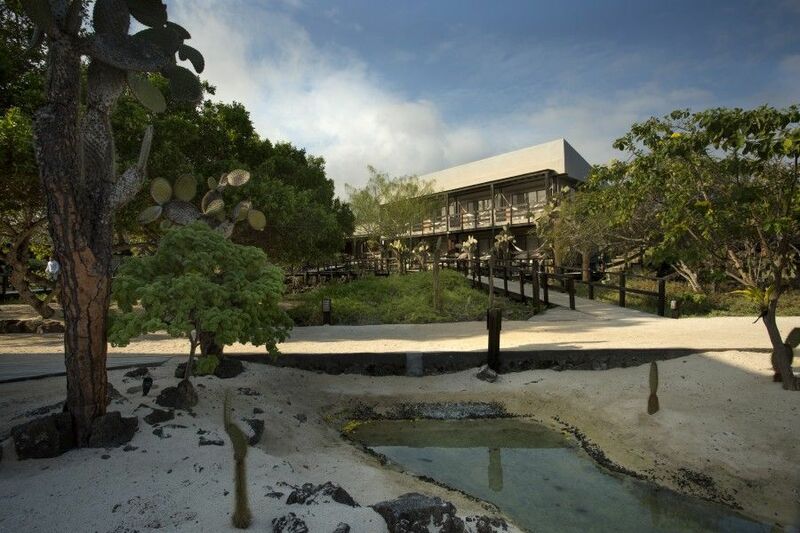 The Finch Bay Eco Hotel, with capacity for 54 guests, was fully renovated in 2009, with improvement of guests facilities and public areas. 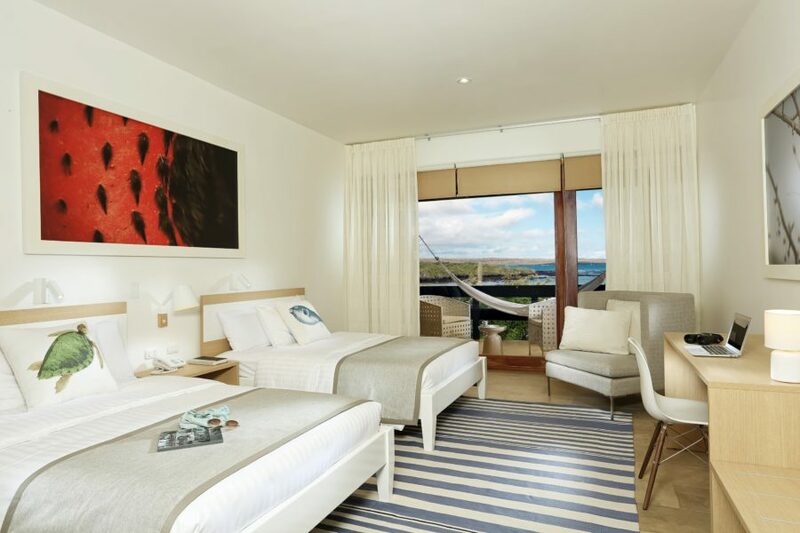 The hotel now boats six Finch Bay Suites, each has an ample private terrace with a perfect ocean view, where hammocks can be hung to leisurely enjoy the unspoiled environments of the Galapagos. Four suites with two Queens beds and the other two suites have one King-size bed, all with top-quality bedding. Four of these suites have a communicating door –great for family travel! Suites are equipped with in-room safe, ironing board, air conditioning, reading lights, wireless internet connection, night table and desk, plus a small sitting room. Closets are ample and there is a space for luggage storage. The Finch Bay Suites and the additional 21 Finch Bay Rooms are decorated in exciting shaded of earth colors, with bamboo and black-out curtains; private baths have showers, hair dryers and other amenities. 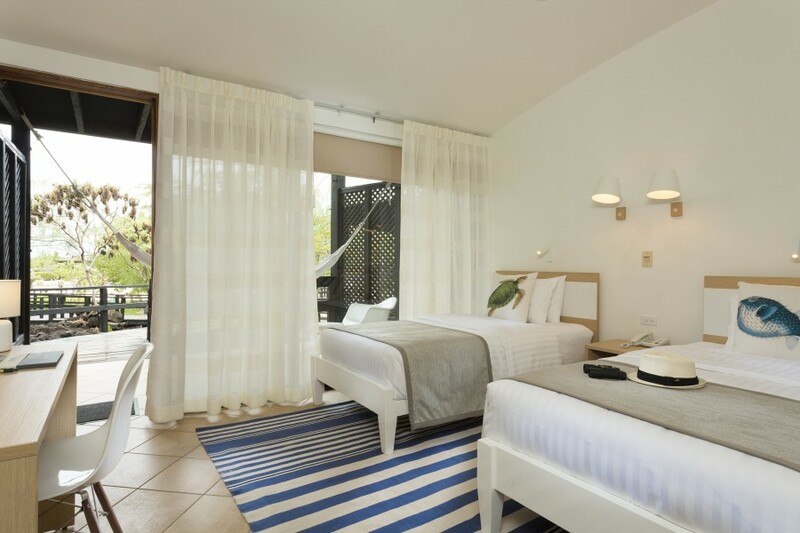 All rooms and suites at the Finch Bay Eco Hotel are smoke-free. The hotel’s Finch Bay Suites are the newest additions to its architecture. They’re split into two sets, with four to the west of the property and two to the east. 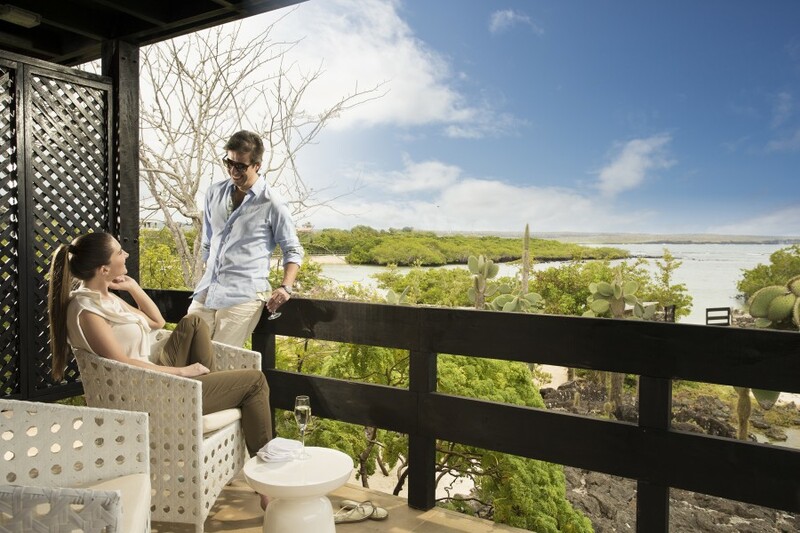 All of them are slightly elevated – although artfully mimetic with their walls lined with dark volcanic stones and discreet wooden handrails – giving them unparalleled views across the bay and the ocean. Their balconies are the ideal place to relax after a day of exploring, while the bedrooms and bathrooms are ample, at 32 m2 (344 sq ft). Four of the suites are interconnected, making them great choices for families or friends travelling together. The hotel’s 21 Finch Bay Rooms are arrayed in a ring around the property, connected by an attractive wooden walkway through the hotel’s recently re-landscaped gardens. 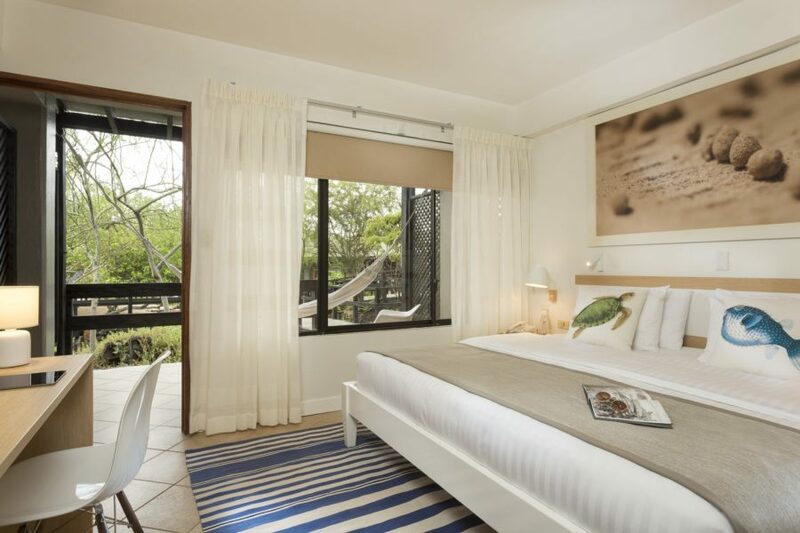 All of the rooms have balconies with hammocks, perfect for a read or a snooze after a day discovering the islands.